A lot of parents, even today when smartphones are so mainstream, flinch on the idea of buying a new phone for their child. Knowing all the possibilities that the smartphones bring with them, many parents just don’t feel comfortable handing out a phone to their teenage son or daughter. Part of that hesitance is due to the fact that most messaging clients today offer free of cost communication with anyone in the world. On top of that, children now have the option to share as many photos and videos as they want over IM apps like Viber, which offer free media sharing as well. The problem arises when someone shares an inappropriate photo through these applications without realizing that nothing can truly be deleted once shared. Parents have long since wanted to know what their children are doing on their smartphones, knowing that there are such apps available that can be misused unintentionally. Luckily, there is now an app that can help you go spy on all the Viber messages sent and received that you want, via an online account. 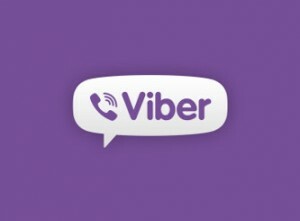 If you have ever asked yourself whether it is possible to spy on your child’s Viber messages online, the answer is yes. SpyBubble offers parents a whole lot of features for just $49.97, for a 3-month subscription, that can help them do much more than just track Viber messages. You can monitor SMS messages, call logs, emails, web history, GPS location and much more. And the best part is that all of this can be done in complete stealth. You can even see what photos your child has on the phone so that you can stop them from doing something they will regret. SpyBubble is an easy and elegant solution for all your problems. Whether it is the kind of media stored on the phone or what goes on in Viber, SpyBubble can help you give all the answers through your own online account.